High-speed Philips USB 3.0 performance, style and big capacity in a trendy USB flash drive. Save time with read speeds up to 120MB/s and write speeds up to 20MB/s. You will notice the difference! 32GB capacity - lots of storage for your photos, videos, files & data. 2-year manufacturer warranty for extra peace of mind. We sell a large and very competitive range of memory cards and card cases etc. Also computer, photo and video, inkjet, vape and battery products. Please browse our store to discover more! I like Philips' quality but I've only given four stars because of the time it took to load. My MP3 music files at 15Gb was only half the drive but took over half an hour; then my MP4 music video files about the same size took over an hour. I thought Philips would be a bit faster. I like Philips electronics - Service is always good. Usually my order arrives within a few days. Good service at good price Good speedy service - The purchased items were well priced and delivered within a few days - would recommend to friends. Fast and does what it says on the tin. used them for years always excellent service. Does all that I wanted it to do. OK but expensive. Do not ask me for more reviews. Much time has been wasted waiting for these to be delivered. I will not waste more time responding to future requests for reviews, unless you are to offer some incentive for my time. Seems to do the job very well. Quick and efficient. I find these to be a quality product that are value for money as well. Prices are great. Quality of product is always excellent. Fast delivery, very often free. what more could you want? Works well. Bought as system backup for new laptop. I have used 7 Day Shop for many years. Ordering is no hassle with keen prices and quick delivery enhancing the experience. On the very odd occasions I have had problems with the goods ordered, 7DS have put it right quickly. Neat and good value for money. Easy to order, arrived on time. good memory stick great price Always good prices and good service! Good value and large storage - what I needed. Always efficient and fast service! Seems okay but haven't USED IT YET Goods arrived very quickly and seek okay. Not much you can say about a memory stick. Neat units and no operational problems. Dispatch from Continent - takes longer than expected. Our customer rated the product 5 stars Correct product, reliable delivery & good price. Good value USB 3 Data sticks Always excellent service. 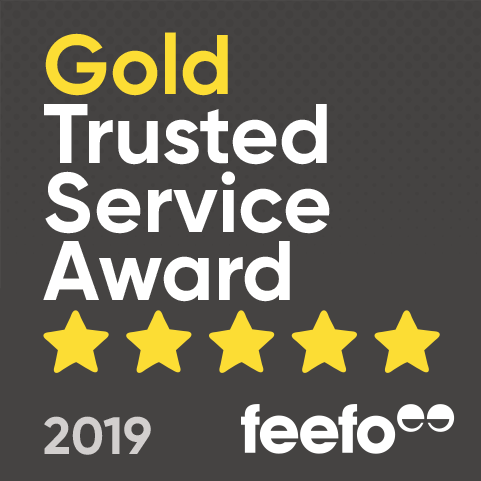 Our customer rated the product 5 stars Good product and great customer service The price was very good and although there was a problem with 1 of the units, I have to say the service experienced with returnign and exchanging a faulty productw was absolutely first class. After one of two was replaced, both work as expected. One of the two memory sticks I bought did not work. It was replaced without fuss or delay - excellent service. Our customer rated the product 4 stars Pleased with prompt service with items coming from the Netherlands. Items appear good value for the money. Initially confused by small pending charge on my debit account. However found the answer in FACs. Compact and pleasing design - does what it is supposed to. Order was split into 3 deliveries with an estimated delivery of 3- 5 days. The first two packs were delivered very promptly with the final package delivered in 7 days. Great product. It's all one could want. Perfect. Prompt delivery. Great products. Very happy. Our customer rated the product 5 stars Fast delivery and products that work. M y first - I'm still evaluating, but they're simple to use. Just plug them into the Mac and they're identified immediately. A neat gadget. I liked the easy ordering process. I don't do much via the internet, so it is always with a little trepidation. The order arrived, I think in 2 days. Wonderful and a good price. A nice product at a great price. Worked perfectly and fast. Should buy another. Fast and efficient. Not a problem. Would definitely recommend them. Lots of storage at a great price Great express service at the lowest prices. As described great value for money Very good price good quality product will use again. Good product as described. Works very well so far. Good product. Good price. Quick delivery. What more could you want? Works as expected at a great price. Great as ever, has never let me down yet. Our customer rated the product 5 stars Excellent speedy service as always. Not disappointed. Great product. Slightly bigger than some USB drives, but faster than my old USB 3. Like the design and can be fitted to a keychain. Works on mac straight out of the packet. Great! Arrived quick for a decent price. Looks very good. Cap clicks on firmly and it has a nice loop to attach a ring to. Have not used it seriously yet but early tests seem to work very well. Attractive design. Website very easy to use and descriptions are accurate. Delivery times a little disappointing, but free delivery is worth the wait. Excellent product at an excellent price!! Excellent service once more. What a good company to trade with. Never had a problem with anything I have purchased from them! I have been using 7 day shop for a long time, they have name brands at excellent pricing, there customer service is excellent and delivery is very fast. I would reccomend them unreservedly. I have been using 7 day shop for a long time, they have name brands at excellent pricing, there customer service is excellent and delivery is very fast. I would reccomend them unreservedly. Great little Usb Flash. It is fast and it looks good! The service, delivery and most of all the price, that 7Day Shop provides is excellent. I have used them for years and will go on using them! Bought as a further backup for mobile data. Does what it says on the tin. Seems robust; performance seems fine, longevity remains to be seen. bought 2 32gb usb drive to use in new car for music. working fine. The drives were ordered as a present and to provide convinient backup when travelling for pictures. Good value and working fine. Works as it said. Great product for the price. Bought this to use to back up my hard drive. Really nice product, very compact and easy to use. Good product at a great price . I bought this to make a system restore disc for my laptop ,cant really comment on data transfer speeds etc . I use one to store recorded films on & another to back up my P.C. Good quality memory, used for video transfers Windows to Mac. 5 stars if cap had attachment to body. Good drive but has a removable ( loseable) cap. Product used for backing up Windows 8.1. Great storage capacity for a truly excellent price. Used in my computer with a USB 3 and have recommended to family. Good product. Will recommend to my friends in photography. Too early to commend on the reliability at moment. Just what I needed for backing up my pictures and documents. Great product and great value. High speed and plenty of space. Small, portable, reliable. 32GB as it says. Nearly filled it already! Using it on the TV and in the car.